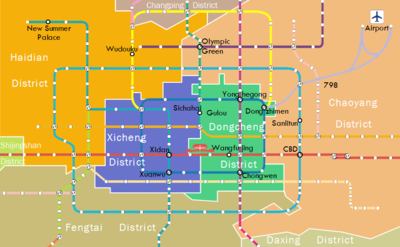 Haidian district is Beijing city’s second largest district, after Chaoyang district. In comparison to most other districts in Beijing, Haidian district has one of the lowest numbers of permanent residents. This is because of the fact that a large portion of the residents living in the Haidian district are university/college students. Despite the large number of learning institutes in the Haidian (or specifically Wudaokou area of Haidian), this doesn’t mean that everyone studies here! Students coming from abroad to study at Chinese language schools may choose a less student orientated area and head to other popular areas to live and study, such as Chaoyang or Dongcheng district. Language courses for learning Chinese can be found throughout Beijing city. Wudaokou lies in the North West of Beijing and is home to Beijing’s famous Tsinghua University and Peking University. As well as the Wangjing area in Chaoyang district, Wudaokou is a popular area for many South Koreans who are living and studying in China. You, therefore, may hear people referring to it as ‘Korea town’! 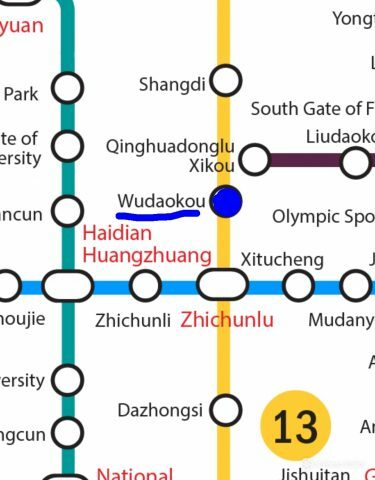 Wudaokou is the place to live in Beijing city if you’re a student or looking to study at a university. It is not the neighbourhood for you if you don’t want to live with lots of students. It’s also not the best district to live in/stay in if you want to do lots of sightseeing and tourist activities. The Wudaokou area of Haidian district is great for those who want a student vibe. Or for those who want to party! It’s full of both Chinese and Western-style bars and clubs, which are also some of the cheapest and best in the city. You’ll never be short of a good place to find Western food. One of the most popular joints and arguably one of the best pizza places in Beijing is Pyro Pizza. 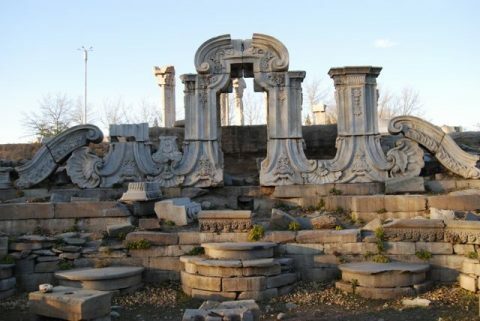 Near Beijing University – fondly known as Bei Da, you can take a trip to the Old Summer Palace (圆明园 – yuán míng yuán). This is a park that was a former complex of palaces and gardens. It’s a perfect place to go and relax, or bring your books in the summertime and study outside in this peaceful area. Escape the hustle and bustle of Beijing life and have a chill whilst learning some Chinese history and culture! Wudaokou is arguably one of the best places to do some shopping. Here you’ll find the latest (Western) trends, as well as typical Chinese fashion. Yes, this includes everyone’s favourite Chinglish t-shirts! You’ll find some crazy and unique designs on a shopping trip in Wudaokou. Just make sure to haggle for your goods! Could Wudaokou be the new hipster area of Beijing? With its new shopping complex complete with boutique stores and abundant bookshops, it’s definitely on its way. The Bridge Cafe is a 2-storey playground for international and Chinese students alike. Open 24-hours, you are guaranteed that there will be students guzzling cups of coffee, or cocktails; depending on what time you’re there! If it’s Western food you’re craving in Wudaokou, the main problem you’ll have to deal with is the choice you’re faced with. 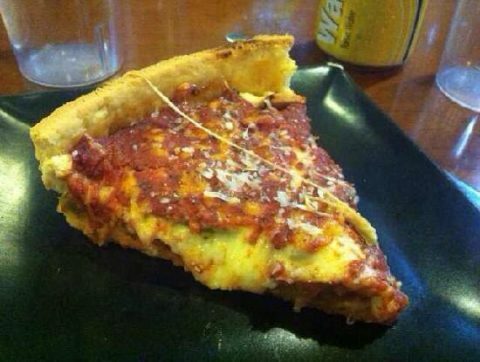 Two of the popular student hangouts already mentioned include Pyro Pizza, and Lush. 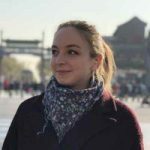 Food in Beijing – Delicious! As well as these two award-winning hangouts, there’s lots of other choices. Next door to Pyro Pizza is Yummy Box, who are famous for their Chicago style deep-dish pizzas and American sized burgers. Other favourites include La Bamba, Sculpting in Time, and Helen’s. As well as plenty of Western places in Wudaokou, you can also find an abundance of Korean and Japanese food places. Don’t miss out on sampling some Korean BBQ or some Bibimbap! Of course, with some Soju to help wash it down. One long-term favourite is the Japanese Isshin (一心). Half price sushi any night of the week – you can’t go wrong! There’s a good handful of bars and clubs around that offer some of the cheapest alcohol in Beijing, as well as some of the best vibes! Most of the bars will have their own specials nights. This includes pub quizzes, discounted nights, ladies nights etc. The main club street is along Heqing Road. This is where you will find the big three – Dopamine, Sensations, and Propaganda. 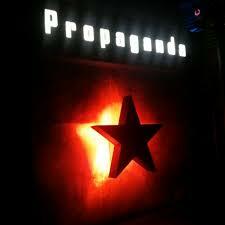 Here there is always something going on – especially on a Thursday for Ladies nights at Propaganda. Did someone say free drinks..?! It seems that either one of these clubs that form the terrible trio will be where you end your night in Wudaokou. Whether you regret it in the morning, or not. Want to get away from the grim and grimy RMB pumping basements? Head slightly out of the main area to Chengfu Road where you will find 13 Club. This is one of Wudaoko’s best spots for live music and is suitable for the heavier music tastes. There is often rock and metal bands playing live here of a weekend. If bars and clubs aren’t your thing, or you’re just a poor student, head to the local 7-11 for some street beers in the summertime!